Our 12-page trip planning kit has all the information you need to plan a vacation to Colorado&apos;s four national parks and two popular national monuments. Here are the highlights of what&apos;s included. Introduction to three of Colorado&apos;s smaller national park sites, Great Sand Dunes, Black Canyon of the Gunnison, Mesa Verde, plus two national monuments, Dinosaur and Colorado. The mailed trip planner kit also comes with brochures, coupons and deals from nearby attractions and destinations. Get more... select to receive vacation planning information directly from our vacation partners by selecting a Colorado national park, region or topic on the form below. FOR A LIMITED TIME: Get a free 76-page Exit 205 magazine included with your mailed packet. It&apos;s all about the mountain lake towns of Dillon and Silverthorne. Plan your vacation to Colorado&apos;s most popular national park and the surrounding mountain towns that give you quick access to the park. Ridgeline Hotel - Explore the park, then relax in our well-appointed guest rooms. Travelers enjoy regional cuisines in our dining room and lounge, a heated atrium pool/whirlpool, WiFi and more. YMCA of the Rockies - Choose between the YMCA of the Rockies Estes Park Center on the Rocky Mountain National Park&apos;s east side or YMCA of the Rockies Snow Mountain Ranch on the west side for great activities and lodging options. Estes Park, Colorado - Visit the base camp for amazing adventures in Rocky Mountain National Park. 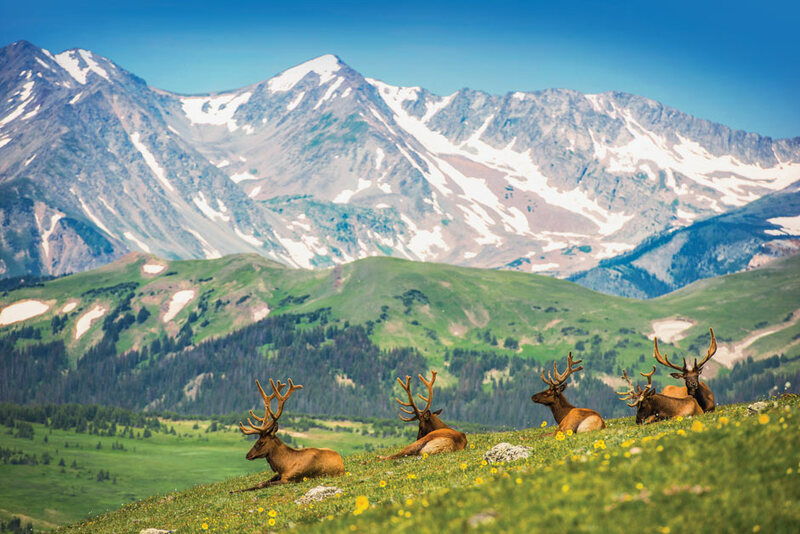 Estes Park is a favorite mountain getaway to explore the Colorado Rockies and encounter real wildlife. The lands surrounding this national park showcase ancient human history, diverse culinary treats and beautiful mountain landscapes. Farmington, New Mexico - Farmington is your ticket to unlimited adventure. Rugged, wild scenery coupled with unique culture, it’s here that outdoor lovers and active families thrive. 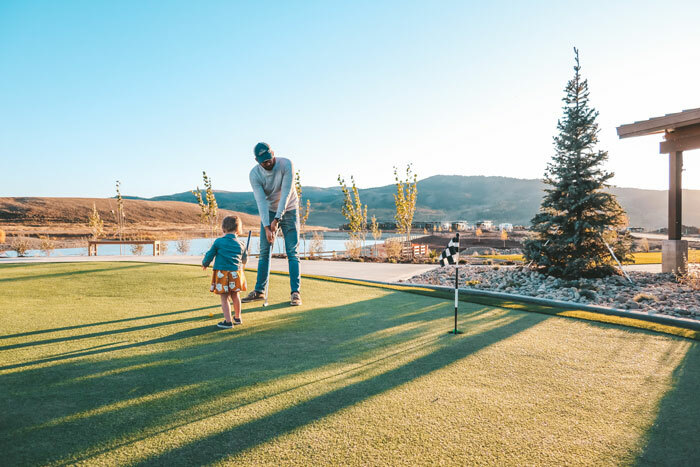 Durango, Colorado - From fly-fishing, zip lining and mountain biking, to skiing, rock climbing and golfing; outdoor enthusiasts will be amazed by the playground Mother Nature has provided in Durango, Colorado. The area surrounding this natural phenomena includes wildlife habitats, hot springs and world-class art. Alamosa, Colorado - Come visit Alamosa, home of the Great Sand Dunes National Park & Preserve. Or, ride the Rio Grande Scenic Railroad, camp, fish, hike, and more! South Fork, Colorado - Don&apos;t let this sleepy town tucked into the folds of the mountains fool you. Its small size is counteracted by the extraordinary amount of energy its 350 year-round residents generate through outdoor recreation. Trinidad, Colorado - Hike up a volcano, see cowboy art, or stroll past a world-class skate park. Expect the unexpected when you visit this town on the edge of Colorado’s border with New Mexico. Northwest Colorado is full of steep canyons, rocky pillars, dinosaur bones and wild horses. Visit three national parks and monuments within a few days by basing your vacation in one of the gateway towns. Dinosaurland - One of the West’s biggest secrets is northeastern Utah, an easy day’s drive west of Colorado&apos;s national parks and monuments. Some call it Dinosaurland, and you’ll find it offers adventure and sites not seen anywhere else in the world. Fruita, Colorado - Fruita is all about adventure. Whatever you call it, we have an epic option for you - biking, hiking, climbing, rafting, 4-wheeling, uncovering dinosaurs, golfing, or rodeo. Plan your vacation along the foothills where Colorado&apos;s plains hit the Rocky Mountains. This area of Colorado includes Denver plus quaint mountain towns from Fort Collins in the north to Colorado Springs in the south, and all the hidden gems in between. Colorado State Parks & Wildlife - Colorado’s 41 state parks are places to have fun, get away, recreate and re-create in beautiful settings. Book your camping reservations or find activities across the State. Visit Colorado Springs - You&apos;ll find more than 55 area attractions including trains, museums, parks, a zoo and more. Wild Animal Sanctuary - More than ten thousand acres on two Colorado sites, where rescued animals from horrific captive situations can live and roam freely within large natural habitats with others of their own kind. Brighton, Colorado - Less than 15 minutes from Denver International Airport, enjoy beautiful Barr Lake State Park, water parks, an historic farm, and a downtown with a small-town feel. Plan a trip through New Mexico on your way to Mesa Verde or Great Sand Dunes national parks. These stops offer an immersion into a world-famous art and food culture. Santa Fe County, New Mexico - For the adventurous traveler who craves truly authentic experiences, here is the destination that feeds the soul and energizes the spirit. Enjoy world-class hiking, biking, skiing, invigorating spa and wellness retreats, and a celebrated local cuisine. Colorado&apos;s neighbor to the west, Utah offers more national parks, spectacular river rafting, fishing and desert treasures such as ancient rock art. Moab, Utah - Where adventure begins. Moab is your gateway to national and state parks, a plethora of recreation, and relaxation. It&apos;s southeast Utah&apos;s top destination vacation location. Cowboy up in Colorado&apos;s neighbor to the north. You&apos;ll find giant cowboy boots, rodeos, western history and uncrowded wilderness trails and rivers. This area features popular stops for people planning a trip from Rocky Mountain National Park to Yellowstone. Cheyenne, Wyoming - Cheyenne is a big town by Wyoming&apos;s standards and provides a fantastic authentic Western experience. For starters it&apos;s home to the largest outdoor rodeo in the world, Cheyenne Frontier Days. In addition, visitors will enjoy the Cheyenne Depot, the Big Boy Steam Engine, the Cheyenne Botanic Gardens, the Railway Trolley, the Historic Governor&apos;s Mansion. Let these experts plan your trip for you. All you have to do is show up and enjoy. Choose from tours that including lodging, basecamp trips, and multi-day backpacking trips. GyPSy Guide Rocky Mountain Driving Tour App - Listen to an expert tour guide automatically play interesting and entertaining commentary as you go. Bring home spectacular images from your national park vacation. National Park Trips Media & Tamron - Take a photo workshop inside our nation&apos;s treasured landscapes or learn how to shoot the night skies with our online course. Already have your camera full of fantastic shots? Keep tuned in to our annual photography contest.